But the reason is really simple. The casket was latched to the hooks in the cargo compartment of the plane and was placed in the rear end of the plane. 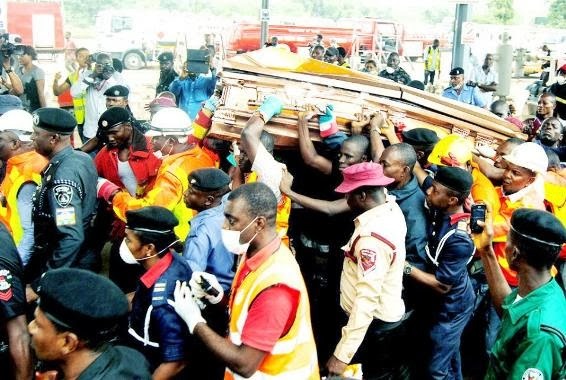 People who sat at the back of the plane survived the crash, so the casket, which was kept at the back also survived the crash. 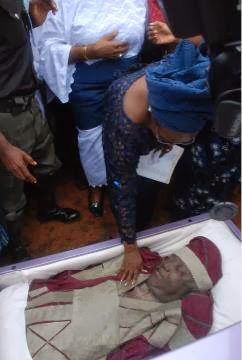 Meanwhile during his burial on Friday, his widow Funke Agagu insisted on seeing the body before he is buried. She was photographed praying for the body before he was lowered into his grave.